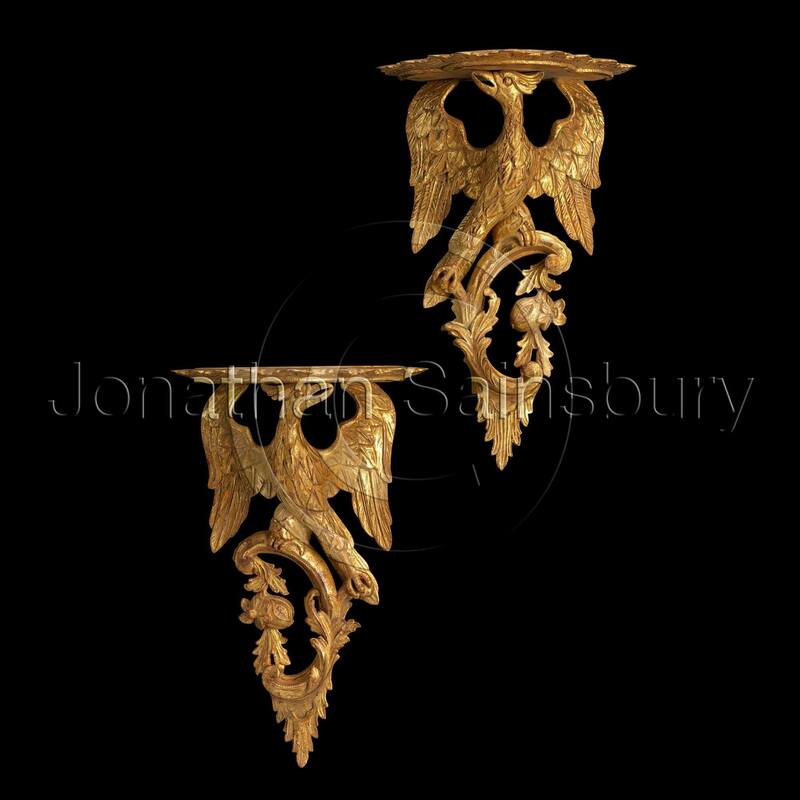 These carved glided wood brackets are in the style of the mid 18th Century. The mythological Ho Ho bird supports a shaped and moulded shelf on its head and grasps a C scroll in its claws. The scroll is decorated with acanthus leaves, flowers and other foliage.